There was plenty to be encouraged about on the cool, cloudy day at Johnsonburg as the DCC tracksters brought home a little history for the stat keepers. While waiting for the rainstorm that never happened the Cards reached a few milestones that touched veteran and new teammates alike. The DCC boys never got a chance to jump and it was big factor when the score was tallied giving Johnsonburg a one point win. There was a much bigger positive side however as the Cardinals came away with 4 dual wins with the boys defeating Oswayo Valley 93-20 & Northern Potter 89-30, while the girls won the same schools(79-39 & 98-47). Johnsonburg nipped the boys 57-58 and the Lady Cards 85-45. It was the first time in DCC history that 4 wins occurred in one meet. “This is significant for the teams to know they have the collective talent to make an impact in competition on a team scale. It was just a short time ago that it was unheard of for DCC to win a meet, and in fact no Pennsylvania program had ever lost to a DCC team until 2016. We don’t have the staff to keep track of points during competition, so all the wins that occur as ‘accidental’ as we say, and this is the norm for many small schools whose emphasis is on individual performance, not team scores. But we celebrate when it happens. ”Records are always a talking point at meets, and this day saw 4 freshman records drop. Sara Koehler hit 4’3.5” in the high jump for a first place and the best ever for a freshman jumper. Koehler has owned the record since breaking it at Franklin this year, and now adds an extension. Koehler also set the girl’s freshman scoring mark at 23 points in a dual competition. Alexis Allen set a new 9th grade pole vault mark(7’) by 3 inches, while Jalen Kosko gathered 34 points in a single meet, a feat never accomplished by a freshman boy. For the Lady Cards it was Mariah Alanskas(44pts) and Martina Swalligan(41 pts.) who led the scoring. Alanskas, the 2018 MVP, took a first in all of her specialties(100, 200, 100H, 300H) but ran up against tough competition from all 3 opposing schools in every event that prevented her from an even higher point total. Alanskas and her sprinting teammates(Cribbs, Koehler, Allen) swept Northern Potter in all 4 events, something never done versus another team in DCC history. Swalligan, DCC record holder in the discus, gained 7 total first places among all 3 throwing events, while she and her teammates (Mangiantini, Resch, Fink) pulled a rare sweep in all the throws vs. Oswayo Valley and sweeps in the shot & discus against Potter. Alanska’s 44 points puts her at the #5 spot all-time in career scoring, just 22 points away from distance standout Meghan Graeca at #4. For the boys it was Jon Schoeneman who led all scoring, taking 9 first places in the 100, 100H, 4×4, and 200 meter dash. Record holder Linkin Nichols qualified for the district meet in May with a 2:08 finish in the 800 run. It was Nichols debut this season after the state championships in 2018. The boys 4×4 team(Nichols, Ritsick, Swisher, Schoeneman) had a victory. The time of 4:02.14 puts the relay team into the top ten record books at DCC, just behind the 1976 team of Rosio, Cathcart, Kenawell, and Dugan. The 20 points scored by Nichols puts him the #3 all-time spot for career points, behind district champion Joey Varischetti at #2. Other winners for the Cardinals were Johnny Ritsick(1600); Jeremy Duckett(High jump, triple jump); Lenny Swisher(4×4); Landon Schmader(3200); Isaac Painter(shot, discus); Owen Helm(400); Jalen Kosko(300). Also winning for the girls was Alexis Dubay(1600, 800. 3200) who totaled 28 points. 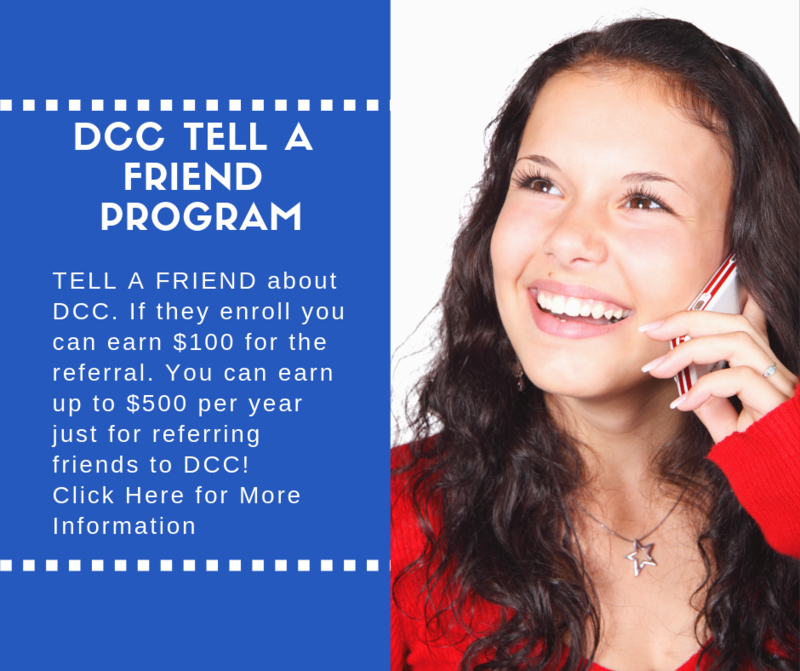 Many say Alexis comes to DCC with experience, and it shows. Many others gained points in 2nd & 3rd places for DCC. Ritsick scored in the 800: Jaci Mennetti(800, 1600); Emily Calliari(800. 1600); Shane Paisley(triple jump); Kosko(200, 100, 300, high jump); Cribbs(200, 100H, 300H); Mangiantini(discus, shot, jav); Gabby Resch(shot, discus); J.P. Piccirillo(3200); Sara Koehler(100H, 300): Loren Way(100); Allen(100); Isaac Gray(400); Lenny Swisher(300); Paisley(high jump); Kylee fink(pole vault). Ian Koehler(shot); and Brady Barnett(javelin) had a career best on the day. DCC is on the right track by setting 43 new personal records at the meet. The Cardinals travel to district champion Brookville on Tuesday.